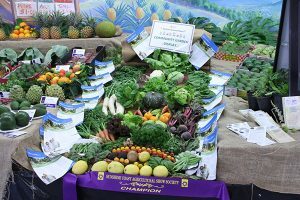 For over 100 years, every year, the Sunshine Coast has come together for three days to strut its stuff in the world of agriculture. The Sunshine Coast Agricultural Show has been an institution in our region for generations, offering the great and varied people of our great land the opportunity to showcase our amazing diversity in talent, skills, and achievements through the incredible range of competitions that pit the best of the best against each other to test their metal for our entertainment and their pride. 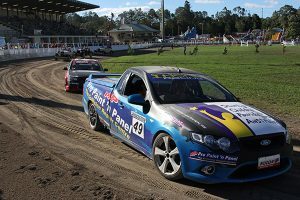 The show also provides businesses and community groups with a valuable platform to promote their organisations, products and services to those that truly need them – as well as plenty of entertainment in the form of Horse events, V8 Ute showcase, fireworks, Side Show Alley, and roving performances on the Heritage stage. This year it returns, from the 16th to the 18th of June. For the history buffs amongst us, the inaugural showing, of what has been a total of 110 events, was held in Woombye just five kilometres south of the Sunshine Coast Agricultural Show’s present home in Nambour on the 3rd of June 1900. 1500 people attended this momentous occasion and gate takings for the first day was recorded as 23 pounds. The first Show featured a small ring with seats around the perimeter made from rounds of timber blocks and fitches of waste timber. A Pavilion was built of forked posts and round bush timber to house displays of cooking, needlework, school work and floral art. Under the pavilion there was fruit and farm produce, with only three side show alley rides being included. 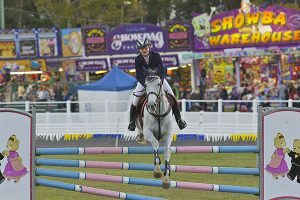 In 1909 and 1910 the Show was established at the present day Showgrounds at Nambour with an abundance of room, large ring and pavilion and close proximity to town. The agricultural show is famous for its car events and various competitions, all of which are open to the public to either observe or participate in for themselves. 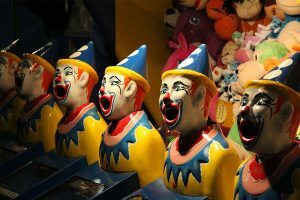 One of the biggest attractions of the show are the talent competitions. ‘The Miss Showgirl/Princess/Teen’ competition seeks young Sunshine Coast locals to represent the Sunshine Coast Agricultural Show for 12 months. The role encourages and promotes the Agricultural Show Movement to the youth of Queensland. Entrants are selected for their knowledge, presentation, passion for the Agricultural Show movement and their community. The competition is no beauty contest, nor is it an intelligence test. It is an award presented to young Sunshine Coast locals who raise the profile of the Show. The award provides an opportunity to excel in leadership, community involvement, key management skills and confidence building. The Show’s Princess category is open for entrants up to 16 years of age and the a ‘Teen’ category for both genders is open to all entrants aged between 9-13 years. ‘The Rural Ambassador Awards are open to all genders, twenty to thirty years of age who have a strong commitment to the rural industries and an involvement and passion for the Agricultural Show movement. The aim of the Rural Ambassador Awards is to highlight the importance of young people in rural and regional Queensland, in particular those associated with the Agricultural Show movement. 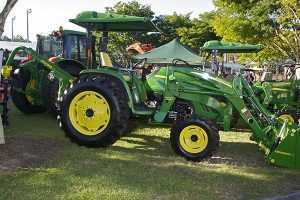 The award identifies those people actively involved in their local Show, who have a sound knowledge of current rural issues affecting their local areas, Queensland and Australia and have a strong affiliation with agriculture. The award seeks young people who symbolise the rural spirit – people with vitality who are forward thinking and with a passion for the land and local agricultural shows. The competition, like Show Girls, is run on four levels. Our local Show winner progresses to a Sub-Chamber final where the winner competes in the State Final held during the Royal Queensland Show (EKKA). 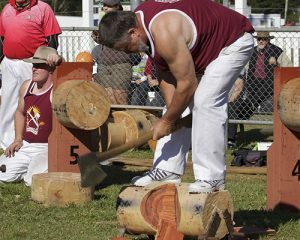 The winner of the State Final then competes at the National Final held at a State Royal Show. This is a national competition, but with New Zealand joining us in 2008 it has expanded to international status. The show offers all local producers and community groups the opportunity to have a presence in the show. Stalls are on offer for business and organisations of all sorts. For more information on the show, renting stalls, or the various competitions on offer this year, visit their website.